Tidal wetlands in the contiguous U.S. can store roughly 800 million tons of carbon in their soils. That is the latest estimate from a team of over 30 scientists from across the U.S., published June 21 in Scientific Reports and led by the Smithsonian Environmental Research Center. But even more surprising to the authors: As far as locking away carbon is concerned, the nation’s wetlands may be more similar than anyone suspected. However, nailing down a precise figure for carbon in U.S. tidal wetlands was a challenge. For much of the nation’s history, wetlands were routinely dismissed as unprofitable, so there is not much data on the books. The U.S. Department of Agriculture has a century’s worth of carbon data from soil surveys in a dataset called SSURGO (Soil Survey Geographic Database), but most of it comes from other soil types, such as land that could be used for agriculture. To fill in the gaps, Holmquist and the other researchers pooled their own data and scoured the literature for any additional data on wetland soils. In total, they were able to gather data from 1,959 wetland soil cores, found in peer-reviewed literature, government reports and some data still awaiting publication. Armed with their newly merged datasets, the researchers did the simplest estimate first: the average. The team took the average of the carbon density in all 1900-plus soil cores, and then extrapolated it across all U.S. tidal wetlands to get an overall estimate of 793 million U.S. tons of carbon. But the team suspected not all wetlands would store carbon in the same way, so they searched for a way to get more nuanced figures, using mapping techniques and models. One by one, all of them fell short. None of the models could reliably predict data the researchers already knew to be true from their soil cores. Bucking all conventional wisdom, the average remained the best estimate. “When we put them all in the battle royale, the single average number came out with both the most precise and the most accurate estimate, which was surprising,” Holmquist said. This could mean America’s tidal wetlands are really not all that different. Perhaps most wetlands have a similar innate ability to store carbon, regardless of where they are, how they are formed, or what is in their soils. However, it also points to how little is truly known about wetlands. The larger issue, Holmquist noted, was that to create the more nuanced models, the team needed to combine the data from their soil cores with information from previous datasets, like the one from the U.S. Department of Agriculture, that were not necessarily meant for wetlands. As the team dug deeper, they discovered some soil types were misclassified in those datasets, and sometimes there was no raw data, only inferences and educated guesses. But with the team’s newly compiled data, much of that can change. Holmquist, Megonigal and many of the other authors are part of a group investigating blue carbon called the Coastal Carbon Research Coordination Network, which aims to keep exploring the questions in this study. The full paper will be available after publication at https://www.nature.com/articles/s41598-018-26948-7. The authors are also putting data from 1,500 of their soil cores online Thursday at https://doi.org/10.25572/ccrcn/10088/35684, and plan to add more data as they are published. For more information, images or to speak with one of the authors, contact Kristen Minogue at minoguek@si.edu or (443) 482-2325. 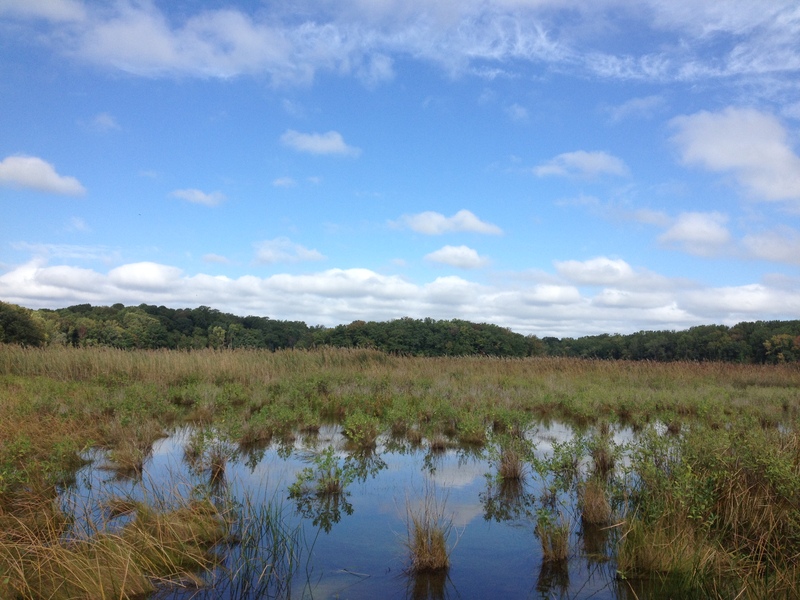 Wetlands like this salt marsh in Edgewater, Maryland, can store carbon up to 10 times faster than upland forests. 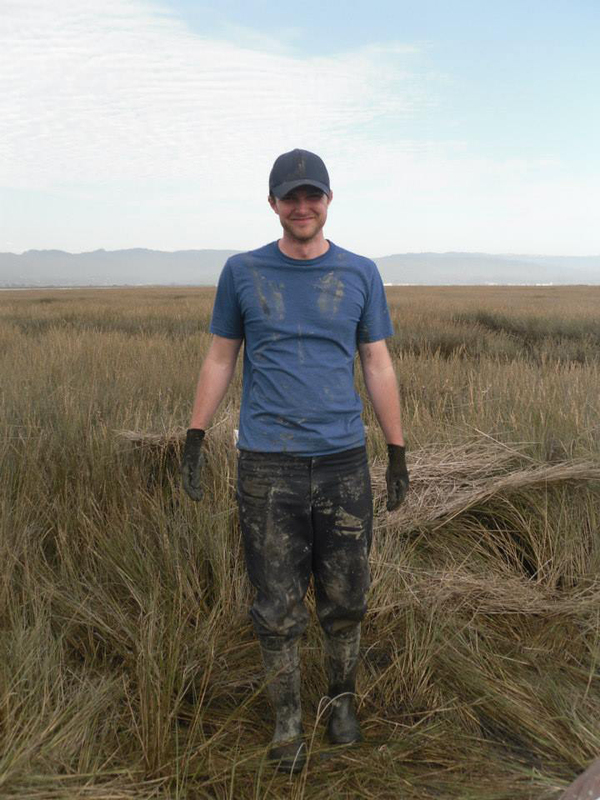 Smithsonian ecologist James Holmquist explores a wetland in Humboldt Bay, California. Tidal wetlands across the continental U.S. can store an estimated 800 million tons of “blue carbon” in their soils, according to a new study Holmquist led. Smithsonian biogeochemist Pat Megonigal holds up a soil core. 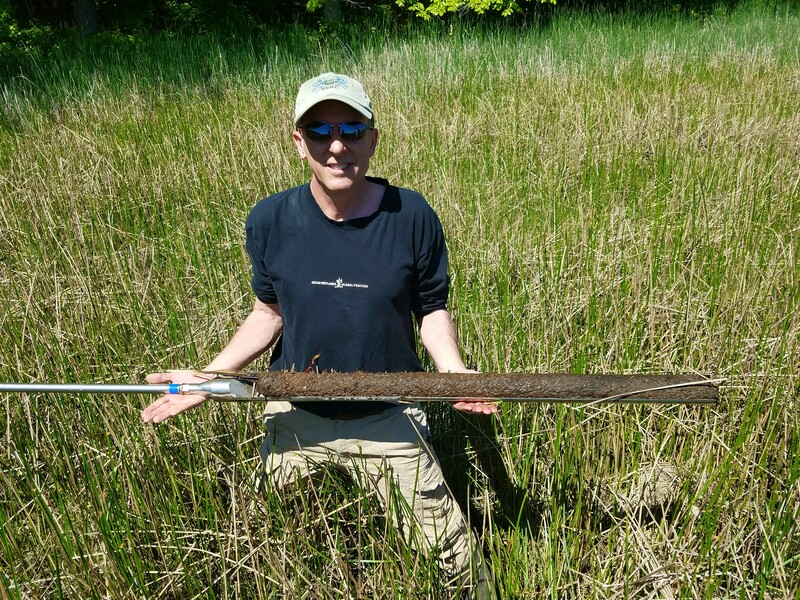 Scientists collected data from nearly 2,000 wetland soil cores to estimate how much carbon wetlands in the continental U.S. can store.